On Saturday night, inside of The Ford Center at The Star in Frisco, TX, Sergey Kovalev gained a level of revenge vs. Eleider Alvarez, winning a clear unanimous decision over 12 rounds to recapture the WBO light heavyweight title. The bout aired on the ESPN+ streaming app as the boxing world saw Kovalev, 35, become a three-time champion at 175 pounds. Scores were 120-108 and 116-112 twice. Alvarez (24-1, 12 KOs) was coming off of a thrilling seventh round knockout over Kovalev just six months prior, a fight in which he rocked and dropped the Russian three times before finishing the contest. 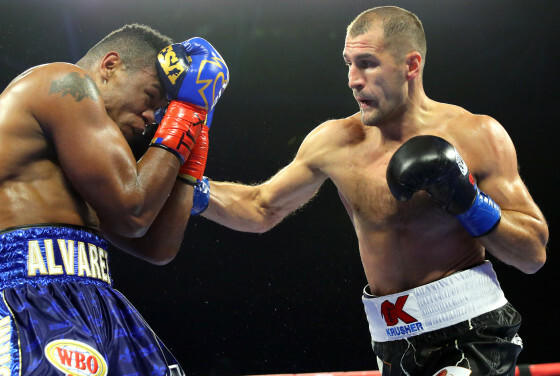 But, to the credit of Kovalev (33-3-1, 28 KO’s), he was able to turn the rematch in his favor and box his way towards victory. This Wednesday, from the Tostitos Championship Plaza at Ford Center at The Star in Frisco, TX, Top Rank CEO Bob Arum will be joined by two of his company’s best fighters in WBO featherweight champion Oscar Valdez and undefeated lightweight prospect-turned-contender Teofimo Lopez. Valdez and Lopez will be participating in an open media workout ahead of their Feb. 2 fights at the Ford Center at The Star. 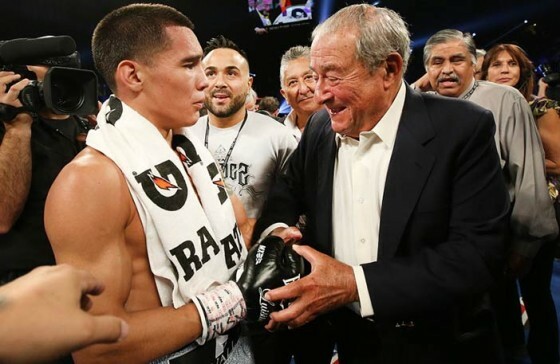 Valdez (24-0, 19 KOs) is coming off of his brutal brawl this past March with former champion Scott Quigg, in which he emerged victorious, and he will be looking to make the fifth defense of his title against fellow unbeaten Carmine “Mr. Wolf” Tomassone (19-0, 5 KOs). Lopez (11-0, 9 KOs), named 2018 Prospect of the Year by ESPN.com, ESPN Deportes, Sports Illustrated, and Yahoo Sports, will take on former world title challenger Diego Magdaleno (31-2, 13 KOs) in a 10-round showdown. 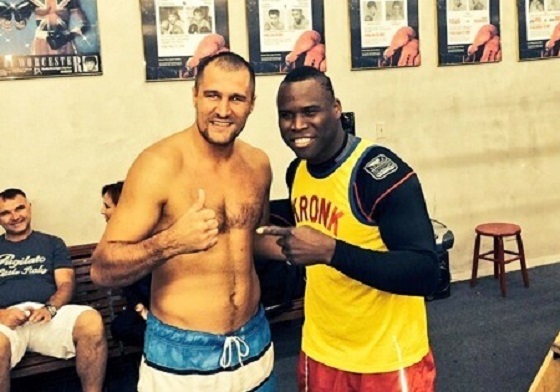 There’s no denying that former light heavyweight champion Sergey Kovalev had a great run in the sport. Kovalev, a Russian fighter who burst onto the scene due to his great ability to chop opponents down and register brutal highlight-reel knockouts, captured the IBF, WBA, and WBO titles at light heavyweight during his successful march up boxing’s ranks. It was only when we saw Kovalev face off with two-division world champion, Andre Ward, who is now retired, that we saw him suffer his first defeat. That took place in November of 2016 in Las Vegas, as Kovalev scored a second-round knockdown, only to see Ward escape with a narrow unanimous decision after rallying over the second half of the fight. The two men rematched immediately after, with Ward scoring an 8th round TKO victory. WBO light heavyweight champion Sergey Kovalev recently made an appearance at Monmouth Park on Sunday, July 29, as he took place in the betfair.com Haskell Invitational. 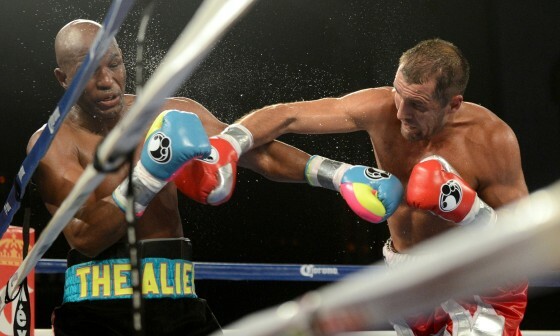 Kovalev faces off with unbeaten contender Eleider “Storm” Alvarez on Aug. 4 at the Hard Rock Casino & Hotel in Atlantic City in a bout that will air on HBO’s World Championship Boxing. Kovalev visited the Monmouth Park Sports Book by William Hill and met with various jockeys and trainers before appearing in the winner’s circle. Monmouth Park will be offering wagering in regards to the final outcome of the Kovalev vs. Alvarez match, as well as the undercard matches, in their Sports Book. The evening’s co-main event will see WBA Light Heavyweight Champion Dmitry Bivol defend his title against Isaac “Golden Boy” Chilemba. Andre Ward and Sergey Kovalev will meet for a second time later tonight, June 17, inside of the Mandalay Bay Events Center in Las Vegas, Nev.
Ward (31-0, 15 KO’s) and Kovalev (30-1-1, 26 KO’s) will vie for the IBF/WBA/WBO light heavyweight belts that the Oakland native captured from the Russian this past November. There is a lot on the line for both men and there is definitely some tension in the air, as evidenced from all the banter and verbal exchanges during this week in Vegas. 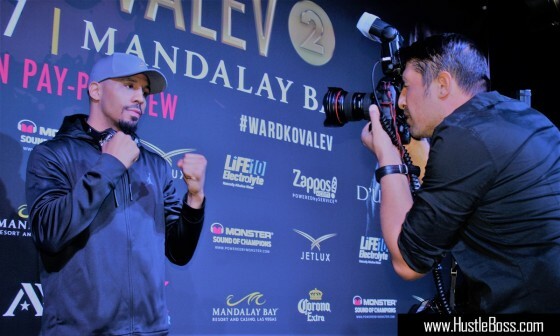 On Tuesday afternoon, IBF/WBA/WBO light heavyweight champion Andre Ward and former lineal champion Sergey Kovalev arrived in Las Vegas ahead of their rematch this weekend. 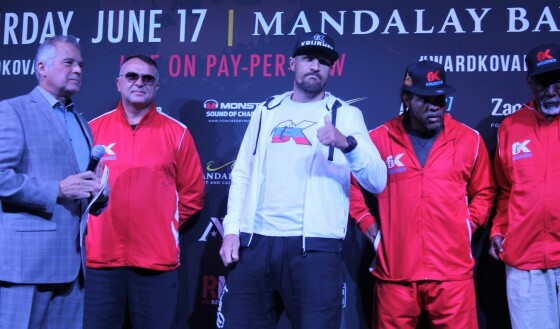 Ward (31-0, 15 KO’s) will meet Kovalev (30-1-1, 26 KO’s) inside of the Mandalay Bay Events Center on Saturday, June 17, on HBO pay per view. This past November, Ward lifted himself off the canvas following a second-round knockdown and proceeded to close the show strong, winning a majority-decision over Kovalev by way of three 114-113 scorecards. The rematch seems to be lacking some buzz in Las Vegas, but that doesn’t stop the fact that this is one of the most important fights to be made in the sport of boxing. On Tuesday afternoon, Nov. 15, lineal light heavyweight champion Sergey Kovalev and former super middleweight champion Andre Ward made their grand arrivals to the city of Las Vegas ahead of their showdown this Saturday night from the T-Mobile Arena. Set for a clash on HBO pay per view, Kovalev (30-0-1, 26 KO’s) and Ward (30-0, 15 KO’s) will face off for a battle that will likely determine who is the sport’s number-one fighter. Photos from the Mandalay Bay in Las Vegas, Nevada as WBO/WBA/IBF light heavyweight champion Sergey Kovalev hammers out another big stoppage victory, this time halting top contender Nadjib Mohammedi (37-4, 23 KO’s) inside of three rounds. 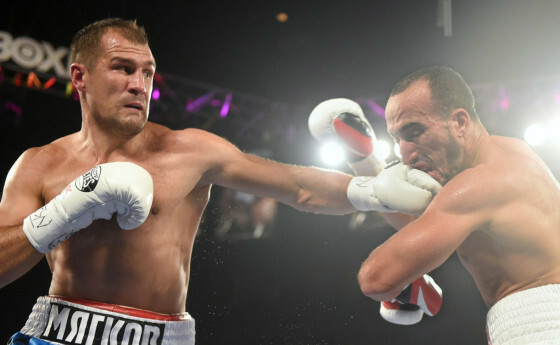 Kovalev was simply too powerful, strong, and accurate, as is often the case with the merciless Russian, and had little trouble with his overmatched foe from France on Saturday night on HBO’s airwaves. On Oct. 12 of last year, two-division world champion Tim Bradley produced perhaps his most complete performance as a professional in edging future Hall-of-Famer Juan Manuel Marquez via split-decision over 12 tense and tactical rounds inside of the Thomas & Mack Center in Las Vegas, Nevada. 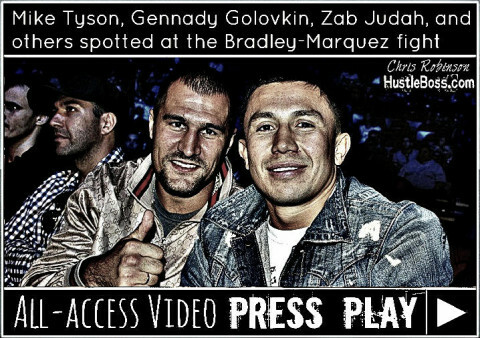 While the fight was a nice chess battle, there was actually plenty of news and developments taking place outside of the squared circle that week. During any notable fight week in Las Vegas, you are always sure to find your share of boxing notables around town and there were no shortage of luminaries on hand. On Saturday, Nov. 8, Russian-born Sergey Kovalev left another stamp on the boxing world with a rousing, dominant 12-round unanimous decision over living legend Bernard Hopkins in Atlantic City. 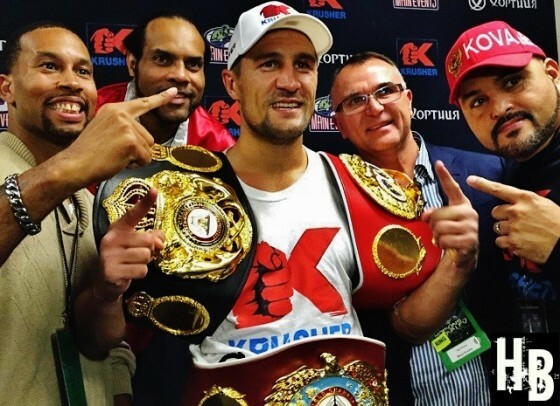 The victory for the 31-year old Kovalev, who added Hopkins’ WBA and IBF titles to go with his WBO light heavyweight belt, is profound, as it helped wrap up another huge year for him. 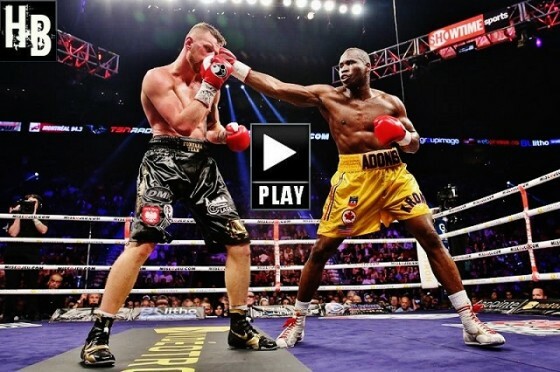 During the match, Kovalev showed grit and guile, never falling into Hopkins’ traps while boxing wisely and showing glimpses of his heralded power. Photos from the Boardwalk Hall in Atlantic City, N.J. as Russia’s Sergey Kovalev (26-0-1, 23 KO’s) dominates living legend Bernard Hopkins (55-7-2, 32 KO’s) over twelve rounds. Hopkins showed grit and guile but simply was no match for his younger foe, who captures the IBF and WBA titles in addition to his WBO strap. HustleBoss.com speaks with trainer Eddie Sanchez about his early days working with reigning WBO light heavyweight champion Sergey Kovalev out in Los Angeles. Post-fight exclusive with trainer Kenny Ellis, who used to be in the camp of WBO light heavyweight champion Sergey Kovalev in Florida. 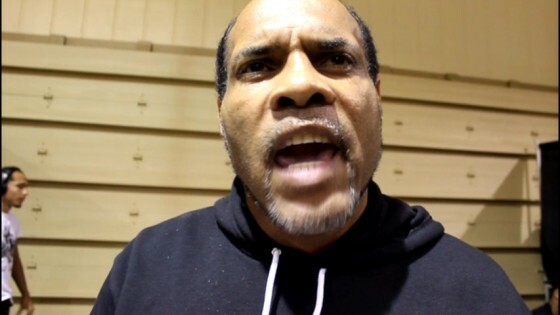 Kenny believes that WBC champion Adonis Stevenson wants nothing to do with the fight. On Saturday night in Atlantic City, WBO light heavyweight champion Sergey Kovalev improved his record to 24-0-1 with 22 knockouts after stopping Chicago’s Cedric Agnew in the seventh round of a spirited yet one-sided affair on HBO’s airwaves.